The MTI Stiles + Drewe Mentorship Award - to provide developmental support to a writer or writing team with a first draft of a new musical. This is generously supported by Music Theatre International Europe. The Stiles + Drewe Prize for Best New Song - to recognise an outstanding song from a new musical. - Guaranteed free access to MMD’s monthly Advanced Writers’ Lab. - Participation in two Progress Labs. In each of these, the Mentorship Award-winner will present a section of their musical and receive feedback from a panel of industry experts and MMD peers.  - Access to work shadowing opportunities – either on a Stiles + Drewe show or with alternative industry contacts (subject to availability and production schedules). - After 12 months, the above culminates in rehearsal provision for a workshop with an industry showcase presentation at the end. This is with a professional cast, Director and MD.“This Award is something truly special…you will work harder and be more inspired than you have ever been before.” Darren Clark, The Wicker Husband (composer & lyricist), winner 2016. “The Mentorship Award transformed our musical, unlocking its potential in ways we couldn’t have foreseen.” Rhys Clark, The Wicker Husband (book), winner 2016. - £1000 to put towards developing their work. - Song sung on a West End stage. - All 12 finalists have access to a Feedback Lab, hosted by Stiles + Drewe at a later date. They are also invited to be audience members in the two Progress Labs for the Mentorship Award-winner.